Not too late to attend the 2014 AzPA Annual Convention! Online registration is closed; however, walk-in registrations are welcome. Daily registrations are also available. Ever since the release of the latest Hepatitis C drug, which sells for $1,000 per pill, it seems there has been more attention than ever given to the often unaffordable price of some prescription medications. But it isn’t just the rare specialty medication that is pinching the pockets of the American public these days. Could the effort to achieve pharmacist provider status become the vehicle to bring the broad pharmacy community together? 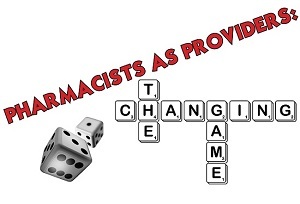 Could that level of broad support from the pharmacy community accomplish something monumental for the profession? Inherent in these two questions is the idea that, at least at times, different segments of pharmacy have worked against one another in the legislative arena. However, the past few years have seen a growing coalescence of pharmacy organizations around common interests. Readmissions could drop as much as 20 percent if community pharmacists work with high-risk patients after discharge on counseling and medication management, according to a new study. Researchers from the University of Cincinnati's James L Winkle College of Pharmacy said hospitals were less likely to readmit patients who saw a pharmacist after discharge than those who didn't. In dealing with health plans, drug companies are facing a new imperative — bargain or be banned. Determined to slow the rapid rise in drug prices, more health plans are refusing to cover certain drugs unless the companies charge less for them. The strategy appears to be getting pharmaceutical makers to compete on price. Some big-selling products, like the respiratory medicine Advair and the diabetes drug Victoza, have suffered precipitous declines in market share because Express Scripts, the biggest pharmacy benefits manager, recently stopped paying for them for many patients. What is Big Pharma's core competency? Specifically identifying and defining your core competency — what a company does really well and perhaps better than anyone else — is a key strategic determination for any business. Successful businesses focus resources around exploiting their core competencies to deliver value through their products or service offerings. In a mature industry like pharmaceuticals, you might think that determining a drug company's core competency would be pretty obvious. You also might think that most Big Pharma companies have this well sorted out. Well, I'm not so sure. Ambulatory care pharmacists need increased access to electronic medical records and health information exchange networks, according to presenters at the inaugural American Society of Health-System Pharmacists Ambulatory Care Conference and Summit. "Pharmacists need to have access to all information ... across the care continuum, if we are to support safe, efficient and effective medication use," said Dr. Kelly Epplen, BCACP, an assistant professor in the Department of Clinical Pharmacy Practice and Administrative Sciences at the University of Cincinnati's James L. Winkle College of Pharmacy, in Ohio. Few of us think about the individual — and sometimes unique — drugs we'll need to dispense when we start pharmacy school. Some of those drugs are controversial and can stir emotions. This article presents facts and offers information and a stepwise approach to developing an informed approach regarding refusal to dispense contraceptives. For the past seven years, I have worked as an associate professor at the Wingate University School of Pharmacy in North Carolina. After working in the retail drug industry since 1977, I had this strange notion that I might be able to help students balance the heavily acute-care clinical education with the more streetwise practical elements of community pharmacy. India's Dr Reddy's Laboratories Ltd is recalling 13,560 bottles of the high blood pressure drug metoprolol succinate in the U.S. after it failed a dissolution test, the U.S. Food and Drug Administration said. Metoprolol succinate extended release is a cheaper generic form of AstraZeneca Plc's Toprol XL. Wockhardt Ltd also recalled 109,744 bottles of the same drug last month citing the same reason. A recently published clinical study in the Journal of the American Medical Association has answered an urgent question that long puzzled ER pediatricians: Is the drug lorazepam really safer and more effective than diazepam — the U.S. Food and Drug Administration-approved medication as first line therapy most often used by emergency room doctors to control major epileptic seizures in children?